It's easy to be jaded when there's buzz about a new social network. Who has time to keep up with them all? And how many will explode on the scene with a bang, the hottest new thing, and then fizzle like Friendster? 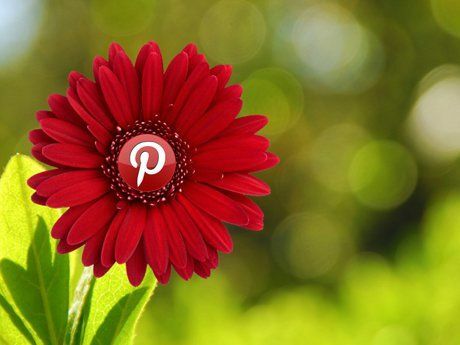 But I have to say that the eye-candy on the visual social bookmarking site Pinterest has caught my attention. The striking, clean visuals and the bulletin board model are sure to appeal to educators, and it certainly has value as a curation tool -- a digital way to save and organize all those little bits of goodness you find online. Intrigued? This week, we're launching the official Edutopia Pinterest account. Whether you're an avid pinner or just a beginner, follow us! Get started by watching the videos below for some ideas about what Pinterest is and how educators are using it. This cute video shows us how keeping track of wonderful things with Pinterest is a vast improvement over paper scrapbooking or carrying things around on floppy discs. Host Marina Kotina shares ten creative ideas for how online educators can use Pinterest to engage students, share resources, and even differentiate instruction. Regular readers may know I'm a sucker for well-animated explainer videos. Although this one is geared toward marketers, it paints a fascinating portrait of the demographics of the Pinterest community. I've featured this screencast video once before, but I think it's one of the best overviews out there on Pinterest for educators, from Lisi Gopin for Edudemic. Lisi offers all the basics and then some suggestions for classroom use. Technology for Learners & Teachers is an informational video podcast that explores various ed tech topics. This short episode gives ideas for how to use Pinterest as part of an assignment. I figured you're about ready for a bit of humor at this point. For better or worse, Pinterest has gained the reputation of being a haven for women on the Web, with its proliferation of recipes and wedding inspiration images. In this animated parody, the women of Pinterest defend their fortress. Not all the language is safe for school! Teacher Kim Fernandes shares her idea for how to use Pinterest to make the home-school connection, to get parents involved and keep them up-to-date on school projects. This short is not specifically geared to educators, but offers up a useful list of basic tricks for the next level of pinning -- collaborative boards, tagging other users, hashtags, and more. Ready to go mobile with your pinning? This video reviews the mobile app developed by Pinterest and gives some tips for how to use it. Free app available for iPhones and iPads, with an app for Android devices in development. Charity Preston from the Organized Classroom blog gives an overview of how she uses Pinterest. This one is nearly fifteen minutes long, so watch this if you want to go more in-depth on the topic. Then follow her on Pinterest! It may not be long before you find yourself addicted to pinning. The articles below explore why the environment at Pinterest is so appealing to teachers. True, there's been some murmur around Pinterest and copyright issues, resulting in some folks fleeing. But good attribution practices go a long way on the Web, and there are ways to protect yourself. Read on for more information about Pinterest and a few other Pinterest-like websites. eduClipper is a brand-new Pinterest-like website from Adam Bellow of eduTecher. Watch the eduClipper Explainer Video here. Are you ready to pin? Feel free to add links to your education-related pin-boards or share your Pinterest username in the comments below! I'll start: you can find my brand spankin' new boards at VideoAmy on Pinterest.